The implementation of government open data initiatives presents a number of interesting challenges to governments on the leading edge of Gov 2.0 policy making. Established business practices invented in another age sometimes seem impervious to ideas like open data. One such practice is charging money for public data under the banner "cost recovery". When looking at the bureaucracies and systems required to manage the authorized distribution of and the collection of payments for data (i.e. products whose marginal cost of distribution is effectively zero) it's easy to wonder if the operating costs are mainly due to the billing apparatus itself. But let's take the case where there is in fact a cost to distributing this data. Perhaps there is a collection cost or some sort of initial investment cost. In some cases, governments have chosen to offset that tangible short term cost with a fee for access, to either the data itself or some byproduct of that data. People or organizations are willing to pay money for this service of data retrieval. From this, one could deduce at least two things: 1) provision of data is a valuable service; and 2) the government is the considered the best or perhaps the only place where they can get this data. Let's look at the BC Corporate Registry for example. To search for a registered company in BC I have to first become a member of BC Online. To become a member of BC Online I have to first deposit $100 into a BC Online account, and then to perform a search they will deduct $8.68 from my account. People do use this service, so there is some value. People are willing to pay for this data. What if BC Corporate Registry data was released as open data. The deal is, I would have access to that data to do what I want with it, including creating an app, and making money, the only condition being that I could not claim it was official. So, I get the data, I offer the data to lawyers and corporate deal makers and entrepreneurs and whoever else I think can use this data and I offer to sell it to them for 1/2 of what the government currently charges for exactly the same thing except that my data comes with a clause that says something like "this data is 'not official'". My guess is that no one would take me up on that offer. In fact, my guess is that I wouldn't be able to give that data away for free. Why? Because it's not official. It turns out being official is pretty important. I think that this whole model of people paying for public data is a collapse of two concepts and what's missing is a distinction. People do not pay for public data. 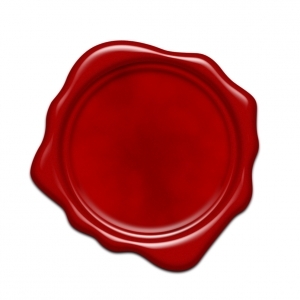 People pay for data with an "official seal". I would go one step further. Often the seal is all they are paying for. This is not a new idea. Just as I can get a certified engineer to come over to my house and talk with me for an hour about the structural changes I want to make to my house, and she'll give me all sorts of ideas and draw me a sketch and perhaps help me with my design ideas, so long as it's all "unofficial". Some will even provide me with an non-certified printout of my plans. To build my house though, I need the official certified plan, and for that there is a fee. I am not paying the engineer for the plan - I am paying her for the plan stamped by a certified engineer. I suspect this won't even be a surprise to the folks involved in crafting the open data licenses that we use. The clue is in the licenses themselves. For example, if you look at the Government of B.C. 's new Open Government License you will see in clause 5. b) "ensure that you do not use the Information in a way that suggests any official status or that the Information Provider endorses you or your use of the Information". That clause is there because someone recognized that that's where the value is. It's the official status, or said another way, the authenticity that the government brings to the data that people need and are willing to pay for and often for legal reasons must obtain. My personal preference would be to have all publicly funded data free and available for any lawful purpose by default. The question of whether or not people should have to pay for the official status of anything is a separate and worthy question. In any case, fees can stay in place for "official" data as there really isn't any threat to existing business models. Releasing the data itself can happen using existing policy and the existing licenses. And, my guess is that in time governments will discover what open source and many other folks already know, that by opening the data, the demand for paid services will actually increase. And for some young entrepreneur, who wants to build the next iPhone app to accelerate the process of creating a new business in BC, that in turn could create jobs and attract talent to our province, that's good news. Because his app doesn't actually require that the data have the official seal. He just needs data he can use.